Whenever it tries to start service in a new market, Uber faces lots of opposition — sometimes from local politicians, but usually from local taxi drivers who don’t want the unlicensed freelancers cutting in on their business. But in France this week, that opposition took an ugly turn. According to press reports, the new UberPOP operation in France was faced with violent opposition (click link for photos) from hundreds of taxi drivers, who smashed and burned Uber cars. 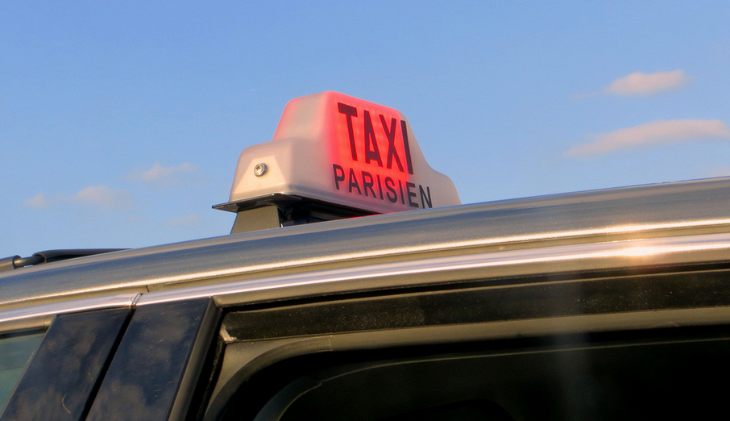 Taxi drivers were said to be blocking the main roads to Paris’ two airports, and other anti-Uber protests were reported in Nice, Marseilles, Toulouse, Bordeaux, Lyon and Lille. UberPOP is the basic-level Uber service in France, which permits almost anyone to join up, get the app and carry passengers. Officials called out police riot squads to quell the angry demonstrations. Adding to the kerfuffle is Courtney Love Cobain, who appeared to have been caught up in the violence as she rode in a taxi from the airport, and has been tweeting to her 2 million followers about her experience. NOTE: Be sure to click here to see all recent TravelSkills posts about: Trip Report: SWISS Roche Coach + San Francisco mistakes + CLEAR goes cardless + Cool gasoline price heat map + More!